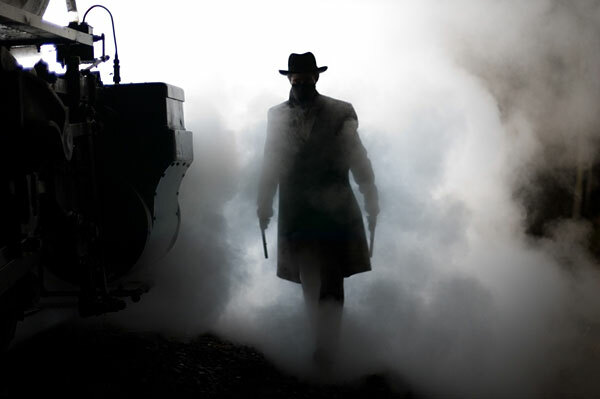 In the Wild West, Death Becomes an Outlaw Icon Exquisitely filmed Assassination of Jesse James lends the heft of Greek tragedy to an oft-told saga. Brad Pitt won an acting prize, but it's Casey Affleck's needy, creepy Robert Ford you can't take your eyes off. Train to nowhere: The title of Brad Pitt's latest movie promises an unhappy ending for his Jesse James. 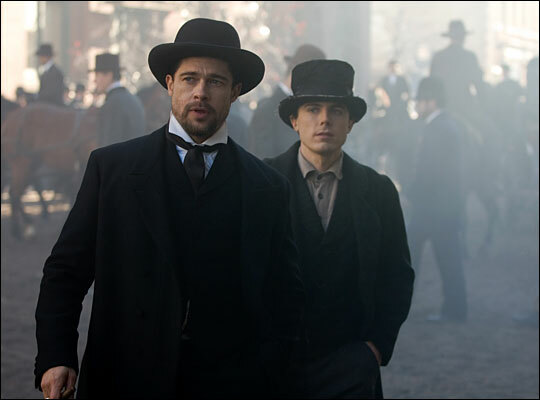 Odd couple: Brad Pitt and Casey Affleck get a little too close in The Assassination of Jesse James ... .
We all know about the price of fame, but it's the price of infamy that fascinates these days. 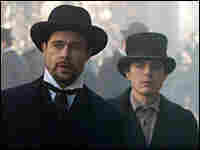 And judging from an intriguing new Western, The Assassination of Jesse James by the Coward Robert Ford, that was no less true a century or so ago. Gunslingers Frank and Jesse James were celebrities in 1881 — despised by the law, but heroes to a host of nobodies who read nickel novels and dreamed of riding with the James Gang. Robert Ford, a weaselly, picked-on 19-year-old little brother of a James Gang member, is one such. When Ford begs the brothers to give him a shot, he's dismissed by Frank James — "the more you talk, the more you give me the willies," says the outlaw. But Frank's brother Jesse is sort of amused by young Bob's hero-worship — amused enough to keep the kid around, anyway. And when paranoia strikes, which it often does, Jesse's nervous enough to keep him close. Of course closeness is part of what Ford wants, and eventually he gets so close that Pitt's puzzled Jesse ends up asking, "Do you want to be like me? Or do you want to be me?" The sort of Oedipal question a father might ask a son, no? Now, when a movie gives away as much in its title as this one does, a filmmaker had better have something besides plot up his sleeve. 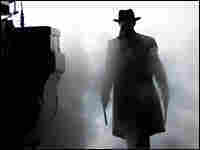 What writer-director Andrew Dominik has is a psychological landscape as weirdly mythic as the one his camera keeps sweeping majestically across. Brad Pitt's paranoid Jesse James, with his easy grin and steely gaze, is an oddly ideal match for Casey Affleck's needy, creepy, high-school-shooter of a Robert Ford. Pitt won the Best Actor award at the Venice Film Festival, but it's Affleck you can't take your eyes off, especially once he's made up his mind to kill his hero. Once he's done that, Ford has to deal with the twists that fate throws his way — for instance a fateful gift from that hero, a gun offered as an apology for being ornery and paranoid. Intriguingly, in apologizing for paranoia, Jesse cites not his own feelings, but how he's described in news accounts. This Jesse James believes his own press — cares about his infamy as it's depicted in the media — in a Western that's no longer behaving much like a traditional western. After the title coward kills the title outlaw (on Easter Sunday, if you like your parallels non-contemporary) there's still 40 minutes of movie left. Young Bob Ford will himself become a celebrity, and fame will meet infamy for one final struggle — one that suggests a link to Greek tragedy. And while it's a rare film, let alone the rare Western, that can support that kind of baggage, I'd say The Assassination of Jesse James by the Coward Robert Ford is it.